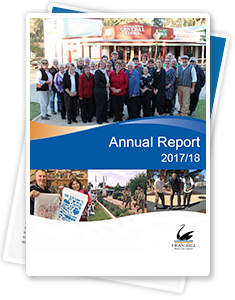 Swan Hill Rural City Council is pleased to present its Annual Report, which provides a detailed account of our performance. 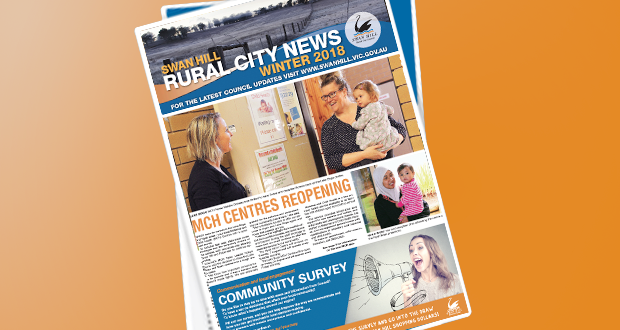 Swan Hill Rural City Council is pleased to present its 2017/18 Annual Report, which provides a detailed account of our performance from 1 July 2017 to 30 June 2018. Documenting Council’s performance against the 2017/18 Budget and the Council Plan, the Annual Report highlights achievements and challenges faced within key service areas and programs in the first year of the 2017-21 Council Plan. Council seeks to achieve community engagement and an understanding of Council’s operations by conducting its affairs openly and with integrity. Transparency in our decision-making and accountability are core values of Council, therefore reflecting high levels of good governance. This report provides information to a variety of audiences including community groups, businesses, ratepayers, visitors, investors, government agencies and other interested stakeholders.